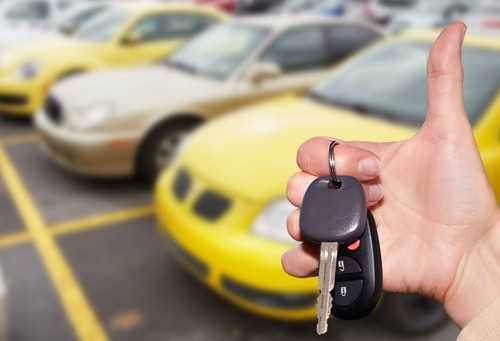 While buying a new car certainly is appealing, it makes better financial sense to purchase from the hundreds of low mileage cars in O’Fallon that are available on virtually every corner lot. Pre-owned autos have a great deal of style, have thousands more miles in them and are significantly more affordable than the newest makes and models on today’s market. Some advance research prior to beginning your vehicle search will ensure that you truly do get the best deal possible. To start, ask friends and relatives about their used car buying experiences and dealers whom they recommend. One widespread problem that you can avoid is the cloning of VINs or vehicle identification numbers. Auto thieves place a VIN on a stolen vehicle that is from one that is legitimate. There may also be incorrect paperwork. If the auto is sold and returned in some way to the police, the auto buyer loses his investment. Examining the vehicle price tag closely. You should look for competitive pricing. Those cars that have a deal that are too good to be true usually are. Comparing the VIN on the dashboard, inside the door, under the hood and on the accompanying paperwork to make certain they are all the same number. Scrutinizing all vehicle documentation to check for apparent errors. Looking closely at the vehicle history report. Notifying the police if you suspect you have purchased a cloned VIN vehicle. Shop an honest dealership to avoid VIN fraud and to obtain a reliable pre-owned vehicle from our selection of low mileage cars in O’Fallon. Phone 5 Star Auto Plaza at (636)940-7600.